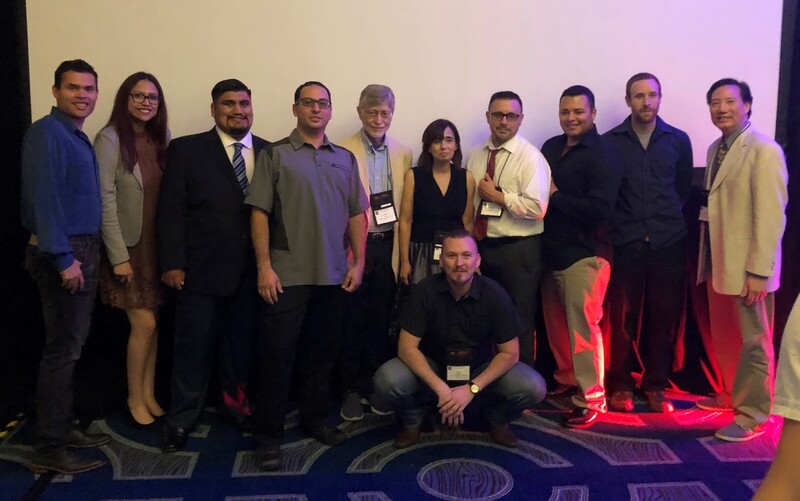 Professor Mills, Professor Tom, and Mills' graduate students travel to Orlando, FL for the 18th International Conference on Positron Annihilation (ICPA18)! Professor Harry W. K. Tom has received a renewal for his NSF grant to measure the 1S-2S positronium energy interval. Welcome Cynthia Farr and Tyler Smith to our lab! 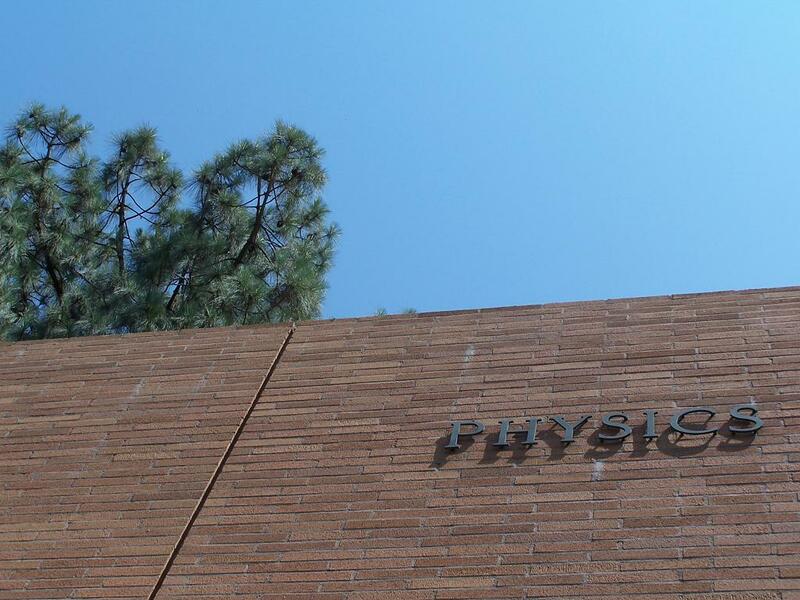 They will be volunteering in Professor Mills' lab as part of the Student Research Opportunities summer program (funded by a Title III STEM grant) at Chaffey College. Congratulations to Dr. Harris Rutbeck-Goldman for graduating from Professor Tom's lab! Thank you for visiting the website for Dr. Allen P. Mills, Jr. at the University of California, Riverside. Here you will find information about the variety of projects and programs being undertaken in our lab. From Positronium production involving several postdoctoral researchers to outreach for Undergraduates and High School students, you will find our lab to be a very active place! Click on one of the buttons above to find out more. Professor Mills has pioneered several techniques in the field of positron physics including the single crystal negative affinity positron moderator (1978,9), brightness enhancement of slow positron beams (1980) and the rare gas solid moderator (1986). He is currently working on applying these techniques to the problem of obtaining a Bose-Einstein condensed gas of positronium atoms. He is also interested in defect spectroscopy, is preparing with Prof. Tom to study the dynamics of laser exploded thin foils using a newly assembled microprobe. The research in the positron laboratory is mainly focused on dense positronium (Ps) physics, with the long term goal of creating a Bose-Einstein condensation of Ps, and thence an annihilation gamma ray laser. This is an ambitious project, fraught with experimental difficulties, and has already necessitated the development of new experimental techniques. However, it is also an exciting new area of positron physics, and promises to become more so as progress is made. Positronium is a hydrogen-like meta-stable atom composed of an electron and its antiparticle, the positron. These atoms are very similar to hydrogen atoms in their gross structure but, being composed of a particle and its antiparticle, which may annihilate with one another, are inherently unstable. Indeed, it is for this reason that a ground state positronium atom lives for at most 142 nano-seconds (and a lot less, 125 pico-seconds, if the electron and positron spins are in opposite directions). The relatively short Ps lifetime is not the only difficulty associated with experiments designed to produce a dense ensemble of positronium atoms. As far as we know, the universe is composed entirely of matter. What antimatter there is in the universe is created by various high energy processes, and there do not seem to be any regions of the observable universe that are naturally composed of antimatter. Certainly, on Earth there are only a few ways known to obtain antimatter in any useful quantities. Using a high energy particle beam, antimatter may be produced by a process known as pair production. However, this usually involves an expensive and large facility, such as an electron linac, and there are very few such operations in the world (perhaps three). Positrons may be emitted when the nucleus of an unstable radioactive atom decays. This occurs through a process that is essentially proton decay, although fortunately for us humans protons are rather stable under most circumstances. Thanks to the weak nuclear force, however, some radioactive nuclei decay in this way. One such atom is known as sodium-22, and this is the most common source of positrons used in laboratories around the world, including ours. It is usually manufactured (in a nuclear reactor), and experimenters simply purchase sealed capsules containing this material from commercial suppliers (of which there is but one, at the time of writing). These sources have a half-life of 2.6 years, and are limited in their strength; the most one can hope for in a slow positron beam derived from such is about 10 million positrons/second. For many experiments this is sufficient, but not for those requiring a high density of Ps atoms. Cliff Surko (and co-workers) at the University of California, San Diego, has provided us with a way around this problem. The development of the positron accumulator has made it possible to capture and store positrons from a beam based on a sodium-22 source, in a modified Penning trap. Our current experimental arrangement is based on this technology, with the inclusion of additional methods to compress the accumulated positron plasmas in both time and space. Using this technology we can implant up to 100 million positrons into a sample in about a nano-second, and in this way we have been able to create Ps (in some porous silica materials) at a relatively high density. That is, at a density where the chances of Ps atoms interacting with each other is significant. Largely for the technological elements alluded to, there have not been any previous experimental studies of interactions between Ps atoms at all. Or, to put it another way, nobody has been able to get two Ps atoms in the same place at the same time before. Having shown that the approach we have taken is viable we hope to improve the technique so that not two but many thousands of Ps atoms interact with each other, which is a pre-requisite for creating a positronium Bose-Einstein condensate. Copyright © 2018 Positron Lab - All rights reserved.